Take one pan heat butter and saute paneer pieces , sprinkle salt and pepper powder .keep aside . Take one biscuit ,apply tomato catch up . Put one paneer piece , apply schezwan chutney . 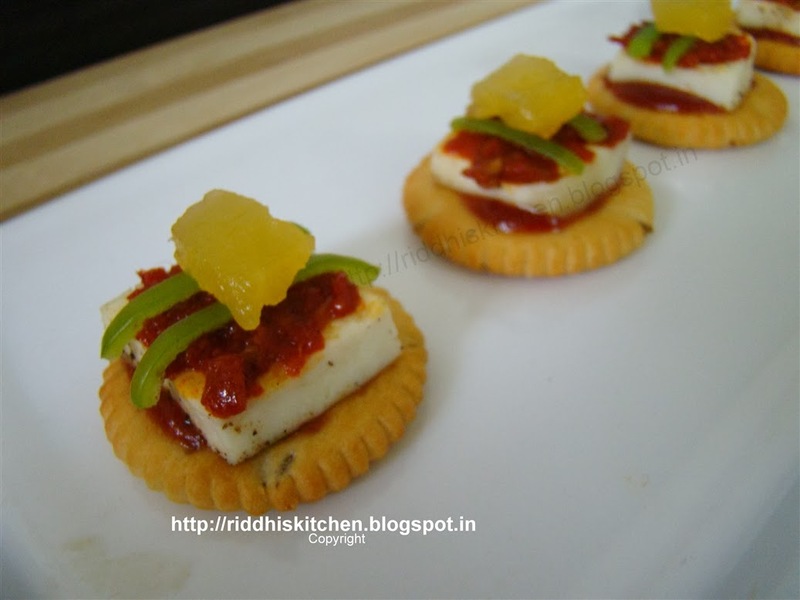 Garnish with capsicum juliennes and pineapple piece . Serve it with any mock tail.